Recovered from the tool shed at FYC by Norman Raine in 1990. The old title was Annual Alpine Boat Club Invitational Fastball Tournament Champions. This trophy was first sailed for on the Saint John River at Upper Gagetown before most of the boats moved to Douglas Harbour. 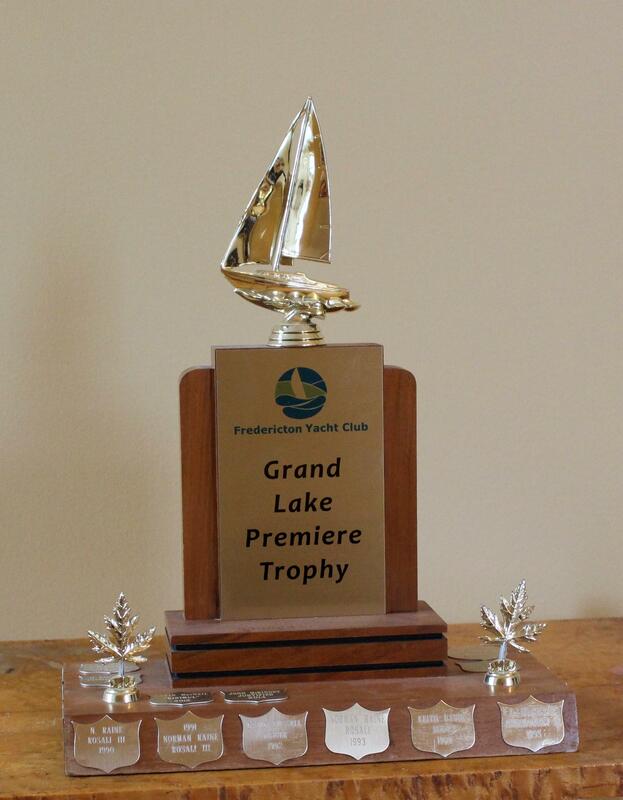 It is now the Grand Lake Premier.